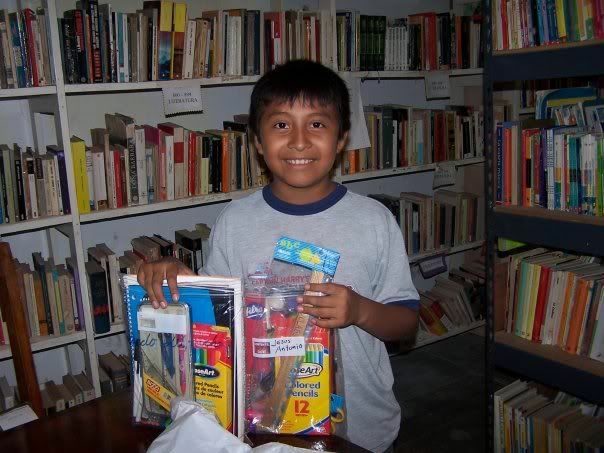 One of our favorite local not for profits, Hekab Be Library in Akumal, has published their annual "Back to School" Wishlist and we would like to help by sharing this with our "Life's a Beach" readers. We so often receive inquiries from customers and friends traveling to the Riviera Maya wondering what they can bring for the local school children in the region and how it will reach the intended recipients. The staff and volunteers at Hekab Be Library have been working with local children in this area for over 12 years and we were pleased to include them as a featured charity in our "12 Days/12 Ways" series which debuted last year. Please remember: NO broken toys, NO big toys (no room in crowded homes), NO toys or games that require knowledge of English, and NO toys that need batteries (no money to replace them). --anything for infants or youth sizes, or small adult sizes, LIGHTWEIGHT clothing, such as: shorts, t-shirts, skorts, bathing suits, camis, tank tops, flip-flops, sneakers, baseball caps, sun hats, umbrellas, any trendy clothes - Old Navy, Children's Place, Circo, Gap... Light SHORT skirts - long ones are too long for locals.